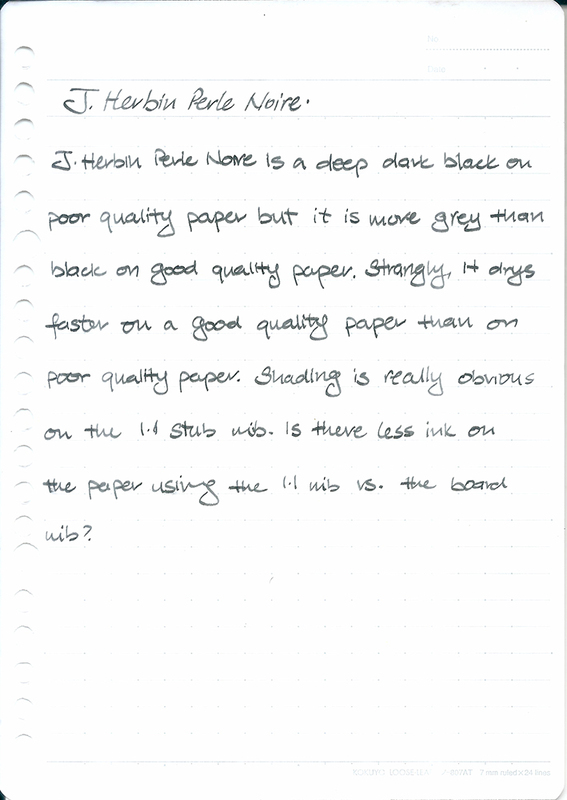 J. Herbin Perle Noire is a deep dark black on poor quality paper but it is more grey than black on good quality paper. Strangely, it dries faster on good quality paper than on poor quality paper. Shading is really obvious on the 1.1 stub nib. Is there less ink on the paper when I use a 1.1 stub nib vs. a board nib?